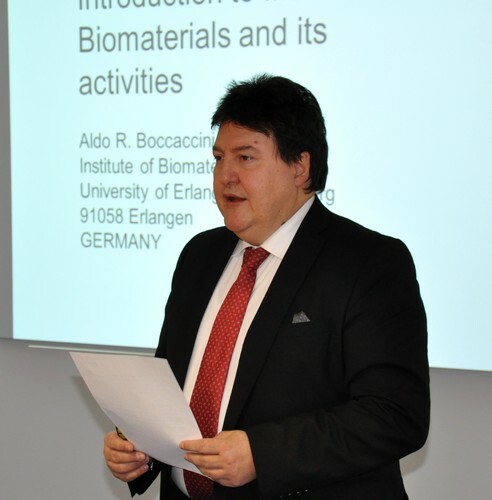 The Institute of Biomaterials, University of Erlangen-Nuremberg, hosted the fourth HyMedPoly International Open Workshop “Hybrid materials development, processing technology, product development and regulation” on 5 December 2017, with over 80 delegates. 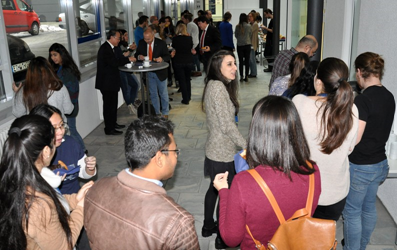 The event was also an opportunity for the HyMedPoly project to hold closed workshops to review the progress of the fifteen early stage researchers as they develop new anti-bacterial therapies based on biomedical polymers and inorganic materials, discuss approaches to cell testing and learn about writing project proposals. 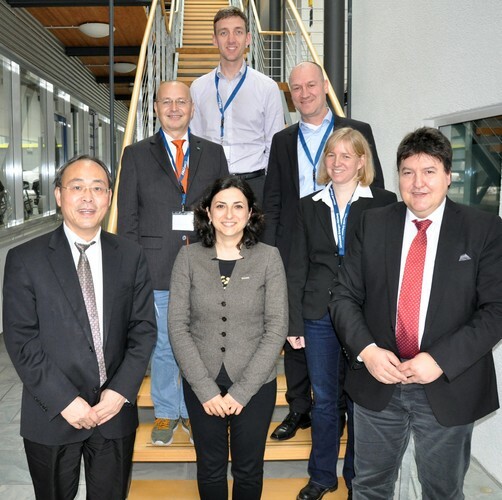 The workshop speakers Dr. Mark Cresswell (Lucideon Ltd, UK) (back) , Prof. Klaus Jandt (University of Jena) and Dr. Jochen Salber (University Hospital Knappschaftskrankenhaus, Bochum),(Centre left to right) , Dr. Xiang Zhang (Lucideon Ltd, UK) Dr. Liliana Liverani (Institute of Biomaterials, FAU Erlangen-Nuremberg), Dr. Ulrike Deisinger (CeramTec, Germany) and Prof Aldo R. Boccaccini , (Institute of Biomaterials, FAU Erlangen-Nuremberg) (front left to right).